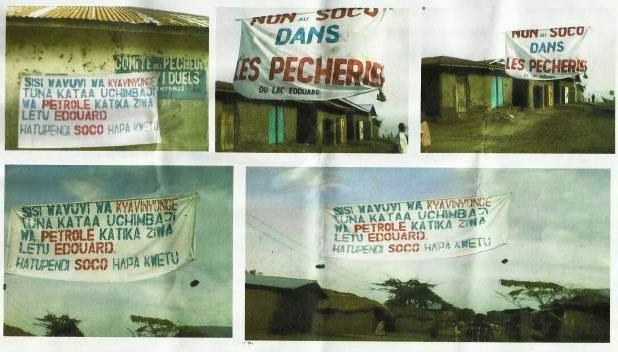 Press Release of Civil society on SOCO’s oil exploration and exploitation in the Virunga National Park. When local communities say NO, SOCO International seeks the reinforce the credibility of the project by the dividing and manipulating the actors. Environmental non-governmental organizations of the Civil Society of North Kivu continue to monitor the process of oil exploration and exploitation in Block V. While local communities and other stakeholders are confused and asking for transparency and inclusive decision making, SOCO International, with the support of ICCN (Congolese Institute for the Conservation of Nature) are multiplying their maneuvers to silence the opposition.